IT’S YOUR LIVELIHOOD. MAKE SURE IT IS PROTECTED. Whether you are a local grower or a large cultivator, we understand the value of insuring your greatest asset. At Adams Insurance Agency, we are dedicated to providing the agricultural coverage and services you need to keep your farm or ranch protected – so you can focus on maintaining a smooth operation. We know that you work hard as a farmer, and at Adams Insurance Agency we want to extend that same courtesy to you by keeping your farm and everything on it insured. Our insurance specialists are sensitive to your individual needs and will work with you to find a policy that best suits your farm or ranch. At Adams Insurance Agency, we know that the success of your farm directly impacts the livelihood of you and your family. With the right Crop Insurance coverage, you can protect your business and keep your farm afloat through all of the difficult times. You’ve poured years of hard labor and honest work into your agribusiness, and when times are tough, you’ll need an agency you can depend on. Talk to a specialist at Adams Insurance Agency to learn more about how Crop Insurance can help ensure the continued service of your farm for years to come. There are probably a lot of reasons for why you chose to make your living on the farm – from the independence and freedom that comes with owning your own business to knowing the value of a hard day’s work. At Adams Insurance Agency, we are in the business of seeing yours succeed. We know that your farm or ranch provides a valuable service to the community, and we would like to return the favor by offering you the comprehensive protection you deserve. A Farm Owners policy from Adams Insurance Agency is an all-inclusive and customizable insurance solution to secure your land, your property, and your finances against a number of inevitable situations that can arise on your farm. The basic package includes property coverage for your dwelling, personal property, and other structures, as well as the added peace of mind that comes with comprehensive liability coverage. For most people, a farm is more than a place to work – it is also where you lay your head after a long day. Under the dwellingportion of your Farm Owners policy, Adams Insurance Agency will help pay for damages to your home and any attached structures for all accidents and perils included in your policy. Liability protection from Adams Insurance Agency helps pay for legal fees, medical expenses, and other losses that you may be held liable for, that result from covered injuries or damage to other people’s property. Further coverage options, including employee injury liability, are available for an additional premium. At Adams Insurance Agency, we know that the health and safety of your animals directly affects the health and profitability of your farm. Livestock Insurance can protect you and your farm against the financial losses that could occur if your animals are harmed or killed as a result of a covered accident such as a fire, blizzard, or other natural disasters – even when your animals are in transit. Livestock Insurance policies will vary from person to person, farm to farm, and animal to animal. The insurance value of each animal is usually its purchase price, but other factors such as performance level or value of your animal’s offspring can increase that value. A specialist at Adams Insurance Agency can help you determine the right amount of coverage at a price that meets your needs. Finding the right coverage options for your horse does not have to be difficult. At Adams Insurance Agency, one of our insurance specialists can help educate you on the different coverage options and rates available for your special animal, and together you can build the perfect policy that fits the needs of you and your horse. At Adams Insurance Agency, we are dedicated to the success of your farm or ranch, and we understand that equipment breakdown can mean lost income. That is why we design comprehensive insurance policies to keep farms running smoothly in the event of an accident. Equipment breakdown coverage goes beyond your standard Property Insurance policy to protect against damage caused by power surges, mechanical breakdown, motor burnout, and even operator error. Contact Adams Insurance Agency today to find out how a Farm Equipment Insurance policy can keep the productivity of your farm moving. Dwelling Insurance from Adams Insurance Agency protects the building you live in and any attached structures, including rental properties, by helping to pay for damages that result from a covered incident. Depending on your specific policy options, it can also include additional coverage for personal property or provide additional living expenses if your home becomes uninhabitable due to a covered loss. Other insurance provisions such as Liability or Medical Payments coverage are not included in a Farm Dwelling policy, so if you are looking for a more complete solution for all your Farm Insurance needs, a comprehensive Farm Owners policy may be the right choice for you. Talk to a specialist at Adams Insurance Agency to learn more about how our insurance solutions can best benefit your agribusiness. Protecting your buildings and your livelihood is easy with a Farm Structures policy from Adams Insurance Agency. This coverage helps pay for the accidental loss of property used for farming purposes due to a variety of perils such as fires and some natural disasters. At Adams Insurance Agency, we strive to meet all of your insurance needs around the farm. In addition to securing your important farm structures, we also offer impressive solutions to protect the expensive machinery and equipment vital to your day-to-day operations. Talk with one of our professional insurance specialists to learn more about our farm insurance options and how we can tailor the perfect package for you and your business. Whether you’re hauling grain or transporting livestock, the vehicles you use around the farm are a vital part of your day-to-day operations, and you cannot afford for them not to be working properly. With a Farm Auto Insurance policy from Adams Insurance Agency, you can protect everything from your personal truck or car to the trailer you use to deliver and transport your valuable goods. Even if you take good care of your farm equipment, some situations are simply out of your control such as road conditions, bad weather, and other drivers. And in the event that something should happen, that is where your Farm Auto Insurance comes in. At Adams Insurance Agency, we will help you create a policy to fit your unique insurance needs. At Adams Insurance Agency, we believe that your Farm Auto Insurance policy should work for you. Contact one of our local insurance specialists to learn more about what we can do for the security of your agribusiness. Adams Insurance Agency provides umbrella insurance policies to farms, ranches, and agribusiness operations facilities in Frederick, Rockville, Gaithersburg, Hagerstown, Columbia, Westminster, and surrounding areas. Adams Insurance Agency knows that your farm is your business. And like any business owner, you are faced with a certain amount of risk and uncertainty in your day-to-day operations. If an accident happens, in most cases, your standard farm owners insurance liability should take care of you. But when serious situations arise, you will want to make sure your business is protected. At Adams Insurance Agency, our team of farm insurance specialists is dedicated to keeping your farm up and running, even after an accident. With the right farm umbrella coverage options, your business will not have to miss a beat. And, as always, with our 24/7 dedicated claims service, you can rest assured that our professionals will be there for you when you need it most. A great amount of responsibility goes into running a farm or ranch. 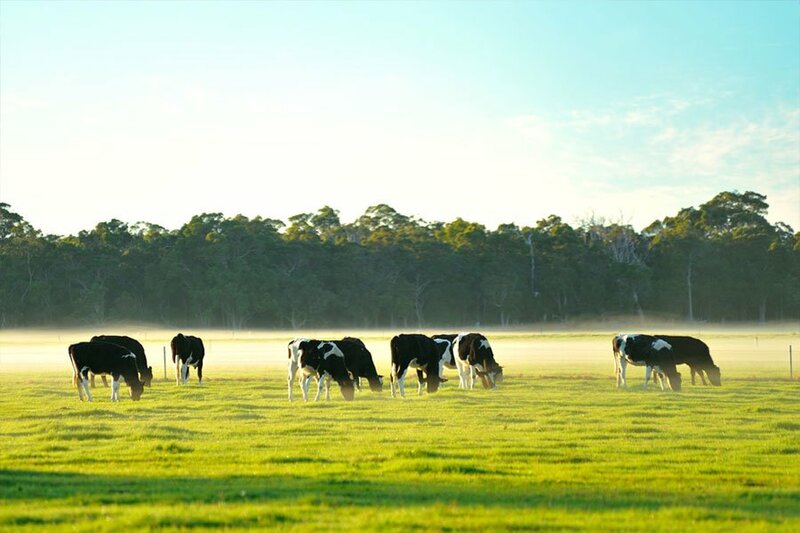 From the operation of farm machinery and equipment to the sometimes unpredictable nature of barnyard animals, farmers are subject to a much higher risk of liability than other property owners. Adams Insurance Agency understands this risk, and is proud to offer complete liability protection for you and your agribusiness. Under a standard Farm Liability Insurance policy, Adams Insurance Agency will help cover the expenses in which you become legally obligated to pay for bodily injury claims on your property and damages to another person’s property as a result of a covered accident. Adams Insurance Agency is committed to serving you. That is why we strive to offer insurance solutions to meet the individual needs of you and your business. There are a number of factors that may influence the type of coverage you’ll need, such as the size and type of your farm. Our farm insurance professionals will help you design the right policy to ensure that all of your special interests are protected. You’ve worked hard to build your farm into a business. Adams Insurance Agency will work even harder to ensure that your business is protected.